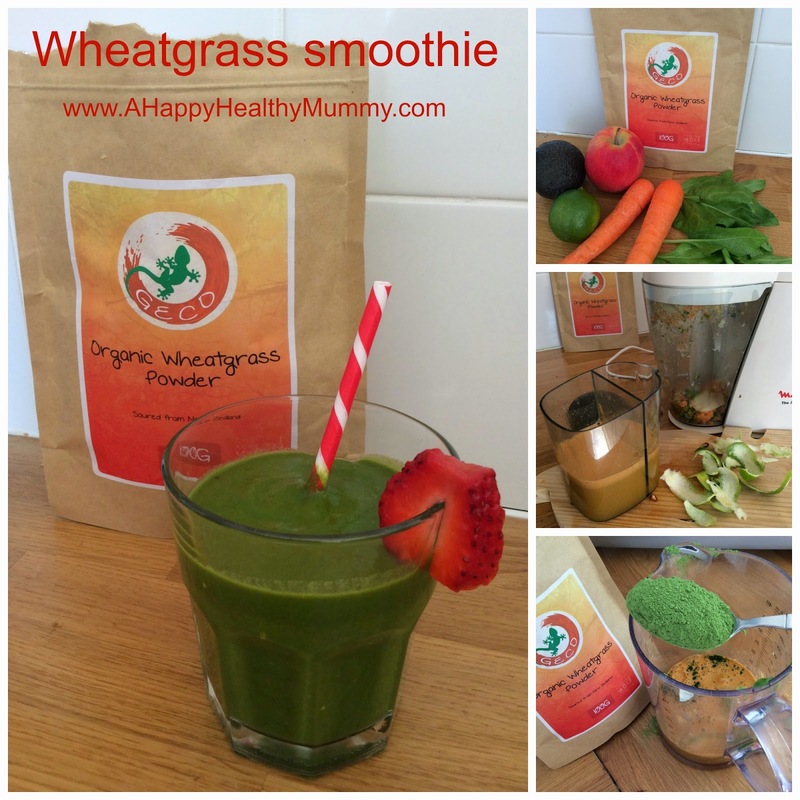 A Happy Healthy Mummy: Can I go green with wheatgrass? Google wheatgrass and you will be amazed. It’s one of the nutritionally complete foods that gets to wear a superhero cape and mask – with advocates claiming it can help with everything from improving energy levels, weight loss, combatting coughs and colds and clearing skin conditions (like rosacea). Wheatgrass contains over ninety minerals, including high concentrations of potassium, calcium, magnesium and sodium – plus nineteen amino acids. The sheer amount of vitamins, minerals, chlorophyll and enzymes wheatgrass contains feed your cells and work to detox your body. 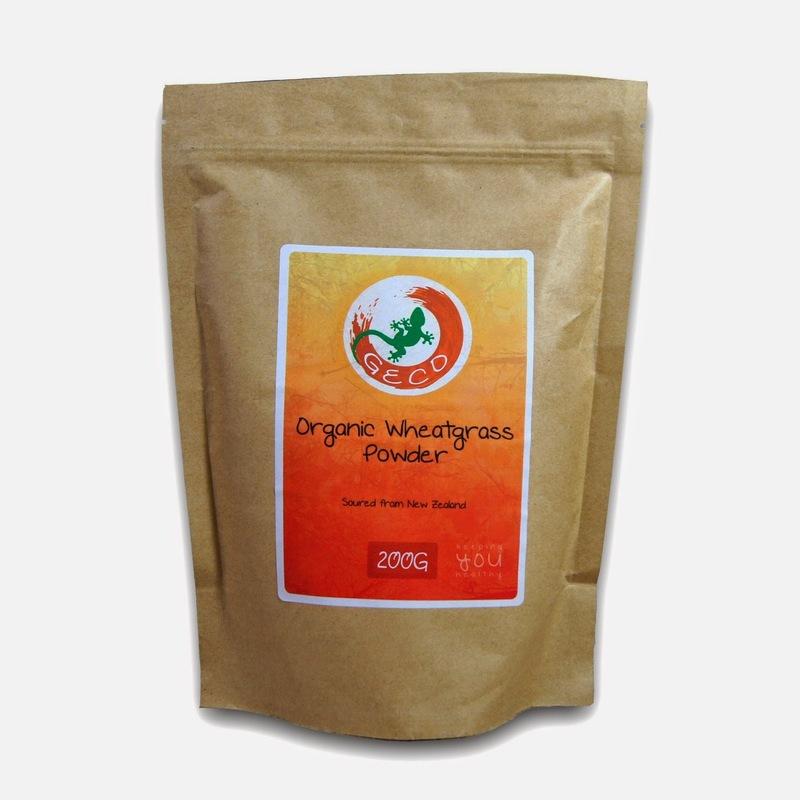 And better still, well for me anyway, a tiny bit of powder packs the same nutritional punch as a whole load of green leafy veg (not a fan of the green leafy veg despite the goodness it contains!!). This easy-peasy recipe makes a thick, VERY filling smoothie (you could have it instead of breakfast) – but you need a juicer and a blender. Juice the spinach, limes, apple and carrots. Pour the juice in the blender and add the rest of the ingredients. Blend for about 20 seconds and you’re done! This. Was. Gorgeous. It only lasted two days in our house and the kids and adults were fighting over it! 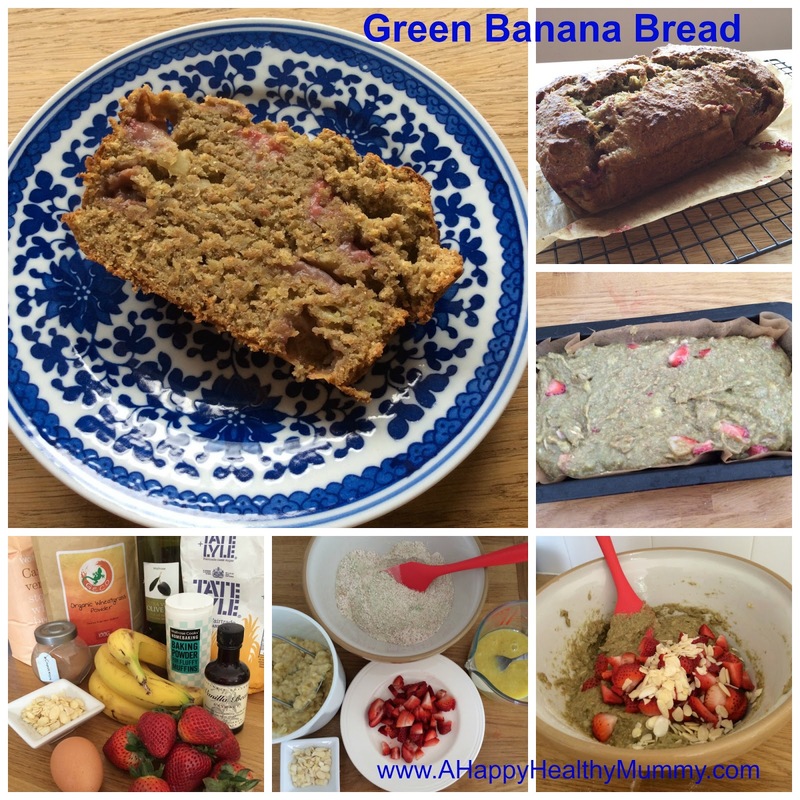 This recipe proved to be very moist and better than other similar ones I’d tried in the past. I used strawberries because it’s what I had to hand, but it would also taste great with blueberries or chopped pears (whatever you need to use up!) – and maybe even grated apple or carrot. I also think you could add more wheatgrass powder. Preheat the oven to 180 degrees centigrade and oil and line a loaf tin with greaseproof paper. Gently mix the flour, baking powder, wheatgrass powder, cinnamon, sugar and a pinch of salt together in a large bowl (dry ingredients). In a separate bowl or jug, combine the egg, oil and vanilla extract (wet ingredients). Mash the banana in another bowl. Fold the wet ingredients into the dry ingredients, and then gently fold in the mashed bananas. Add the nuts and berries. Pour into your loaf tin, use a spatula to level it out and bake for 50 minutes. Try to let it cool down before you start eating it!! This is the major reason why this variety is so popular among Japanese people even today.